Michael Louis chairs the firm’s Banking and Finance Litigation Practice. Michael’s personal practice supports the needs of businesses and homeowners in a changing economic environment. He has extensive experience in mortgage foreclosures, a variety of commercial litigation including collection matters, business disputes, filing and defending confessions of judgment, and real estate litigation. Michael has been with MacElree Harvey, Ltd. since 1980. 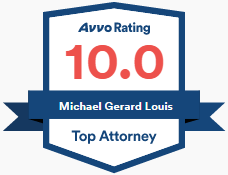 Michael has received an “AV Preeminent” rating from Martindale-Hubbell, the highest level of professional excellence and ethical standards an attorney can receive from the national attorney peer review rating service. Michael has also been consistently named as one of Main Line Today’s “Top Lawyers” since 2009 and selected to Suburban Life’s “Awesome Attorneys” from 2012 through 2015. Provided local counsel for a bank in litigation with a borrower in which the bank sued the borrower for $60 million and the borrower filed a separate action against the bank, alleging damages in excess of $60 million. Represented a landlord whose tenant defaulted on a commercial lease. Recovered possession of the leased property for the landlord and all of the unpaid back rent plus the landlord’s attorneys’ fees. Defended a client sued as a guarantor of a business loan by filing a petition to strike and/or open the judgment. Debt workout/restructuring for a client in the restaurant business that defaulted on obligations to lender due to the slumping economy. Assisted the client in re-working certain loans and obligations and delaying others without losing business. Obtained retroactive relief from automatic stay on client’s behalf after defaulting borrower filed bankruptcy on eve of execution on debtor’s real estate. Represented client in investigation and litigation involving embezzlement and fraud by company employees. Successfully pursued former employees and obtained partial recovery of stolen funds. Represented a client sued by a bankruptcy trustee for payments made to it on the eve of debtor’s bankruptcy. Resolved the matter with no payment to the bankruptcy trustee. Represented a client whose neighbors dogs barked day and night. Obtained a preliminary injunction which was made permanent, keeping dogs from disturbing their use and enjoyment of their property or barking at all between 6 pm to 9 am. I’ve been working with Michael Louis on several cases that involve our family business. Mr. Louis has taken the time to not only get familiar with our type of business but to also get familiar with us as people. Mr. Louis is prepared when we enter the courtroom, professional as we face the judge, and as excited as we are when we emerge with a verdict in our favor. It was never my goal in life to need a lawyer for anything other than wills and minor business dealings. But that is not how things worked out. Thankfully, I have Michael in my corner and that has been a good thing. Michael Louis is a breath of fresh air. Either he actually takes your call himself, or he calls you back immediately. He is knowledgeable, thorough and responsive. 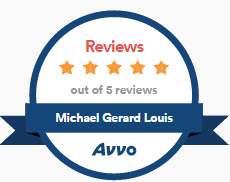 I would highly recommend Michael for any commercial litigation. When my tiny company was sued by a massive global corporation as I was trying to protect my rights under their contract, I have to admit that I was horrified. Although I knew that I had a real case and solid claim against this vendor to my company, I was dwarfed by their juggernaut legal team and seemingly bottomless legal budget. Mr. Louis was referred to me by my local attorney (the suit was in Pennsylvania and I'm in a very small town in Iowa) and within ten minutes of our initial phone conversation, my anxiety of the enormity of this situation began to fade. He carefully listened to my story and asked me very relevant questions and by the end of the conversation was able to show me that not only did I have a solid defense against their claim, but that I also wielded a substantial counterclaim. We immediately began to build our case to defend and counter and after a few months of carefully executing his recommended process, we settled outside of court for a very reasonable amount. Had my company lost the case, we would have been bankrupted. Instead, he and his expert teammates focused on keeping the opposition on their heels. For round after round, my attorney fought an amazing fight, and I was so pleased to see this corporate giant so often on the ropes. His letters were so carefully composed and structured, my confidence increased each time I read them. I shuddered at the prospect of being on the receiving end of them, as a matter of fact! And, the way he asserted our legal dominance kept the diligent pressure on the other team - ultimately bringing forth a very reasonable settlement. Pure professionalism, legal expertise, and brilliant battleground strategy were my allies every step of the way. When I sat in the room with Michael Louis, I was the 800-pound gorilla. The other guys didn't stand a chance, and I know that they now wish they had never brought the suit against me. I never want to be sued again. But, if I am, I would be lucky to have Mr. Louis or an attorney like him on my side. I've been dealing with Mike for about three years now as a non-profit company tries to take my service dog away from me. As a disabled person on a fixed income, I am the type of person it is very easy for an attorney to shun and overlook but Mike has NEVER treated me with anything but the utmost of respect and kindness. When I don't understand something he takes the time to completely explain it. He has never taken more than a day and a half to get back to me with an answer to a question. I can not believe how blessed I have been to have him as my attorney!